ഗ്യോർഗി ലൂക്കോസ് ( ജോർജ് ലൂക്കാസ്; ജൊർഗി ബെർണറ്റ് ലോവിംഗർ; ജനനം: 13 ഏപ്രിൽ 1885 - 4 ജൂൺ 1971) ഒരു ഹങ്കേറിയൻ മാർക്സിസ്റ്റ് തത്ത്വചിന്തകനും, ലാവണ്യശാസ്ത്രകാരൻ, ഒരു സാഹിത്യ ചരിത്രകാരൻ, വിമർശകൻ എന്നിവ ആയിരുന്നു. സോവിയറ്റ് യൂണിയന്റെ മാർക്സിസ്റ്റ് പ്രത്യയശാസ്ത്ര യാഥാസ്ഥിതികതയിൽ നിന്ന് വ്യതിചലിച്ച ഒരു പാശ്ചാത്യ മാർക്സിസത്തിന്റെ സ്ഥാപകരിലൊരാളായിരുന്നു അദ്ദേഹം. മാർക്സിന്റെ സിദ്ധാന്തത്തെ വികസിപ്പിച്ചെടുത്ത അദ്ദേഹം, മാർക്സിന്റെ സിദ്ധാന്തത്തെ കാൾ മാർക്സിന്റെ സിദ്ധാന്തത്തെക്കുറിച്ചുള്ള ബോധവത്കരണവുമായി മുന്നോട്ടു കൊണ്ടുവന്നു. അദ്ദേഹം ലെനിനിസത്തിന്റെ തത്ത്വചിന്തകനായിരുന്നു. ലെനിന്റെ പ്രായോഗികപരിപാടിയായ പ്രത്യയശാസ്ത്ര വിദഗ്ദ്ധപരിപാടിയിൽ പാർട്ടിയുടെ വിപ്ളവത്തെ ആസൂത്രിതമായി വികസിപ്പിക്കുകയും സംഘടിപ്പിക്കുകയും ചെയ്തു. കുറച്ചുകാലം മാത്രം നീണ്ടുനിന്ന സോവിയറ്റ് ഹംഗറി റിപ്പബ്ലിക്കിൽ മന്ത്രിതുല്യമായ സ്ഥാനവും വഹിച്ചു.തോമസ് മൻ തന്റെ ഇതിഹാസഗ്രന്ഥമായ മാജിക്ക് മൗണ്ടനിലെ നഫ്ത എന്ന കഥാപാത്രത്തെ സൃഷ്ടിച്ചത് ലൂക്കാച്ചിനെ മനസ്സിൽ കണ്ടുകൊണ്ടാണ്. മാർക്സിസ്റ്റ് രാഷ്ട്രീയചിന്തകൻ എന്നതിനൊപ്പം മാർക്സിസ്റ്റ് ലാവണ്യശാസ്ത്രത്തിനും ലൂക്കാച്ച് ഭാരിച്ച സംഭാവനകൾ നൽകി. മാർക്സിസം ചരിത്രപുരോഗതിക്കു വഴി ചൂണ്ടൗന്ന ഒരു തത്ത്വസംഹിതയാണെന്ന ദൃഡപ്രത്യയത്തിൽ അധിഷ്ടിതമാണ് ലൂക്കാച്ചിന്റെ സൗന്ദര്യശാസ്ത്രചിന്തകൾ. History and Class Consciousness (1972). ISBN 0-262-62020-0. The Theory of the Novel (1974). ISBN 0-262-62027-8. Lenin: A Study in the Unity of His Thought (1998). ISBN 1-85984-174-0. A Defense of History and Class Consciousness (2000). ISBN 1-85984-747-1. ↑ European writers, Volume 1, Scribner, 1983, p. 1258. Woroszylski, Wiktor, 1957. Diary of a revolt: Budapest through Polish eyes. Trans. Michael Segal. [Sydney : Outlook]. Pamphlet. Aczel, Tamas, and Meray, Tibor, 1975. Revolt of the Mind: a case history of intellectual resistance behind the iron curtain. Greenwood Press Reprint. Granville, Johanna. "Imre Nagy aka 'Volodya' – A Dent in the Martyr's Halo? ", "Cold War International History Project Bulletin", no. 5 (Woodrow Wilson Center for International Scholars, Washington, DC), Spring, 1995, pp. 28, and 34–37. Kadvany, John, 2001. Imre Lakatos and the Guises of Reason. Duke University Press. ISBN 0-8223-2659-0. KGB Chief Kryuchkov to CC CPSU, 16 June 1989 (trans. Johanna Granville). Cold War International History Project Bulletin 5 (1995): 36 [from: TsKhSD, F. 89, Per. 45, Dok. 82.]. Arato, Andrew, and Breines, Paul, 1979. The Young Lukács and the Origins of Western Marxism. New York: Seabury Press. Baldacchino, John, 1996. Post-Marxist Marxism: Questioning the Answer: Difference and Realism after Lukacs and Adorno. Brookfield, VT: Avebury. Corredor, Eva L., 1987. György Lukács and the Literary Pretext. New York: P. Lang. Heller, Agnes, 1983. Lukacs Revalued. Blackwell. Kołakowski, Leszek (2005). Main Currents of Marxism. London: W. W. Norton & Company. ISBN 978-0-393-32943-8. Lichtheim, George (1970). Georg Lukács. New York: Viking Press. ISBN 0670019097. Löwy, Michael, 1979. Georg Lukács—From Romanticism to Bolshevism. Trans. Patrick Chandler. London: NLB. Marcus, Judith T.; Tarr, Zoltán (1989). 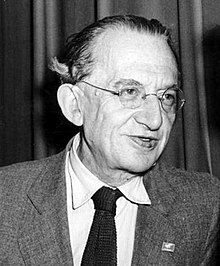 Georg Lukács: Theory, Culture, and Politics. New Brunswick: Transaction Publishers. ISBN 0887382444. Lukács, Georg (1971). History and Class Consciousness: Studies in Marxist Dialectics. Cambridge: MIT Press. ISBN 0262620200. Muller, Jerry Z., 2002. The Mind and the Market: Capitalism in Western Thought. Anchor Books. Sharma, Sunil, 1999. The Structuralist Philosophy of the Novel: a Marxist Perspective: a Critique of Georg Luckács [sic], Lucien Goldmann, Alan Swingewood & Michel Zéraffa. Delhi: S.S. Publishers. Snedeker, George, 2004. The Politics of Critical Theory: Language, Discourse, Society. Lanham, MD: University Press of America. Thompson, Michael J. (ed. ), 2010. Georg Lukács Reconsidered: Essays on Politics, Philosophy, and Aesthetics. Continuum Books. Kadarkay, Arpad, 1991. Georg Lukács: Life, Thought, and Politics. Basil Blackwell. Gerhardt, Christina. "Georg Lukács," The International Encyclopedia of Revolution and Protest, 1500 to the Present. 8 vols. Ed. Immanuel Ness (Malden: Blackwell, 2009). 2135–2137. Hohendahl, Peter Uwe. "The Scholar, The Intellectual, And The Essay: Weber, Lukács, Adorno, And Postwar Germany," German Quarterly 70.3 (1997): 217–231. Hohendahl, Peter U. "Art Work And Modernity: The Legacy Of Georg Lukács," New German Critique: An Interdisciplinary Journal of German Studies 42. (1987): 33–49. Hohendahl, Peter Uwe, and Blackwell Jeanine. "Georg Lukács In The GDR: On Recent Developments In Literary Theory," New German Critique: An Interdisciplinary Journal of German Studies 12. (1977): 169–174. Jameson, Fredric. Marxism and Form: Twentieth-century Dialectical Theories of Literature. Princeton: Princeton University Press, 1972. Stern, L. "George Lukacs: An Intellectual Portrait," Dissent, vol. 5, no. 2 (Spring 1958), pp. 162–173. Petri Liukkonen. "György Lukács". Books and Writers (kirjasto.sci.fi). Archived from the original on 4 July 2013. Bendl Júlia, "Lukács György élete a századfordulótól 1918-ig"
Levee Blanc, "Georg Lukács: The Antinomies of Melancholy", Other Voices, Vol.1 no.1, 1998. എഴുത്തുകാരെക്കുറിച്ചുള്ള ഈ ലേഖനം അപൂർണ്ണമാണ്. ഇത് വികസിപ്പിച്ച് വിക്കിപീഡിയയെ സഹായിക്കുക. ഈ താൾ അവസാനം തിരുത്തപ്പെട്ടത്: 18:45, 20 ഒക്ടോബർ 2018.